Combine first 7 ingredients; make a well in center of mixture. Add beer and egg substitute, stirring just until dry ingredients are moistened. Spoon batter into an 8 1/2- x 4 1/2- x 3- inch loafpan coated with cooking spray. Bake at 375 for 45 to 50 minutes or until a wooden pick inserted in center comes out clean. Let cool in pan 10 minutes. Remove from pan; let cool completely on a wire rack. 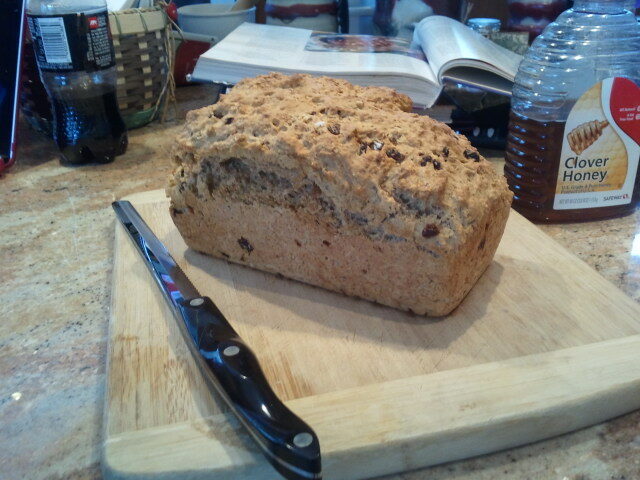 Yield: 16 servings (116 calories per 1/2 inch slice).